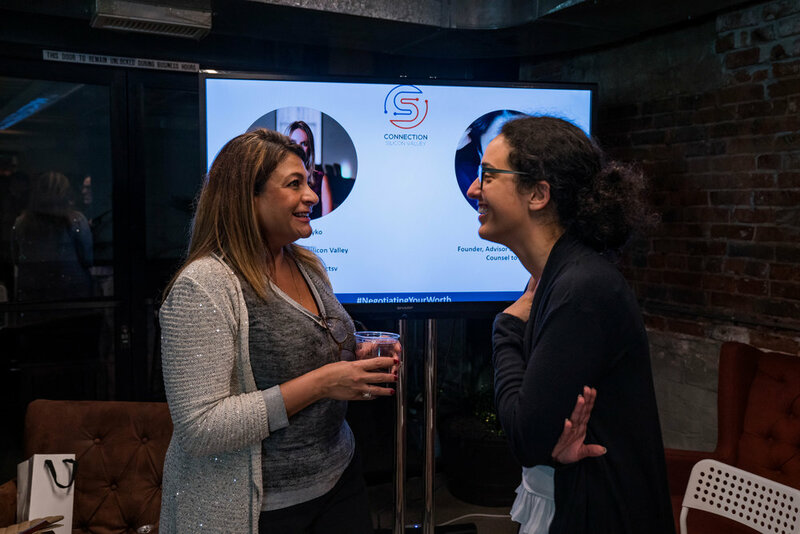 This was the second Tech Talk in our new series hosted by the Canadian Landing Pad at The Vault on the topic: Negotiating your Worth. Since this topic is rarely found in events around the bay area, we had a really engaged audience asking interesting questions and giving real life examples. All of us had a amazing time and learned a lot with Laura words. Stay tuned because our next Tech Talk series event is coming soon! “Does anyone remember in 2014, when the Microsoft CEO advised “that women who have good karma don’t need to ask for a raise – they should get one naturally.”? He later publicly apologized, many times, and now gives completely different advice. Research doesn’t reflect the idea of women being recognized for their work and given raises accordingly. 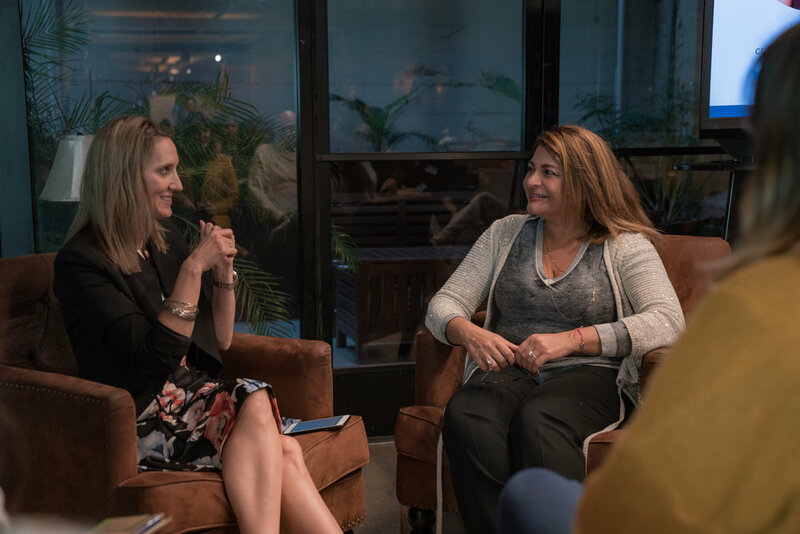 A prized private mentor and coach, Laura Kyriazis teaches women how to advocate for themselves in their careers when negotiating for themselves. Laura will speak about advocating for oneself and learning to be your best client. Negotiating Your Worth! Ms. Kyriazis has over 19 years experiences as an experienced intellectual property and commercial corporate transactions attorney. She represents early seed and emerging private high technology companies in IoT, BlockChain, HealthTech, fintech and enterprise Software companies such as Intrinsic-ID, WootCloud, Reflektion, Virtual Power Systems, Atrenta, Genentech, Sequence Design and Cypress Semiconductor as a lead GC/SR. Corporate Counsel and began her career as senior negotiator for Macrovision Corporation. She is recognized globally as true team leader with excellent drafting, negotiating, and communications skills who thrives in a dynamic international business environment. She is at ease with the negotiation of multimillion dollar deals, all areas of software licensing technology and corporate transactions, privacy, employment law and corporate real estate. She serves and contributes her time pro-bono as a Board Member of Advisory Board of the FemTech Collective of over 200 female founders in the HealthTech space and is a Founder Advisor to both private and publicly traded companies including Fronteo Inc. She graduated from UCLA with top departmental honors in Political Science with an emphasis in Public Law and International Relations. She received her Juris Doctorate from the University of San Francisco School of Law with an emphasis in Intellectual Property Law.